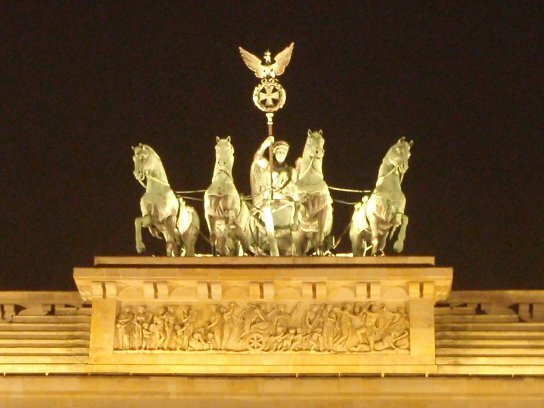 I'll see you again, Berlin Quadriga.. I like the city — it’s huge, loaded with history, and damned cheap compared to The Hague — but still, visiting a European city more than once during six months seems like an overkill. However, as my first time in Berlin was really touristy, perhaps it’s time to enjoy it beyond tourist traps. Or maybe I’ll just explore the Museum Island, which I skipped last November. Anyway, I’ll be off til the 22nd. Updates can be found in my posterous, since it’s easier to post there, hehehe. Auf wiedersehen! Hi Bunga, hv u visited the Pergamon museum? It’s located exactly on the complex of Museum Island you hv mentioned..i hv been thre and i could say that it’s actually one of the best tourist attractions in Berlin, especially if you love greek mythology..worth a go! On my first visit I prioritised seeing the remnants of Cold War… so yeah, I think now it’s time to go to Pergamon museum and see the magnificent altar that’s stolen from Turkey, hahaha. Are you still in Dresden?